Structured Effects Handmade recreates the unique look of handcrafted tile with a rippled surface that adds subtle texture to the glossy white finish. These beautiful tiles are inspired by traditional brick and tile making techniques where artisans handmade each piece, one-by-one. It is durable enough for kitchen or bathroom walls and will create a distinctive look in your home. 12 square feet, 100 pieces per case. Case weight is 36.34 lbs. Buy online Daltile Structured Effects Minimal White 3 in. x 6 in. 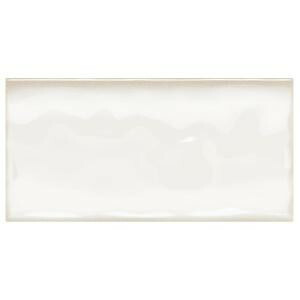 Glazed Ceramic Wall Tile (12 sq. ft. / case) SE1936MODAHD1P2, leave review and share Your friends.